With the arrival of LeBron James, a world of expectations have once again been thrust onto the Los Angeles Lakers. While fans and experts alike do not yet know how good this season’s team will be, Lakers head coach Luke Walton already seems to have a good idea of how they will play their best basketball. Walton recently spoke with Spectrum SportsNet to break down how an offensive style where the ball is constantly moving will be one of the Lakers’ best assets in the 2018-19 campaign. While the Lakers managed to hold onto their talented young core made up of Lonzo Ball, Brandon Ingram, and Kyle Kuzma this offseason, they also added a slew of savvy veterans to the roster like Rajon Rondo, Lance Stephenson, and of course James. While there is sure to be a certain amount of growing pains this season, it seems quite clear that Walton is already working hard to maximize his roster’s strengths and minimize its weaknesses. The moment James decided to become a member of the Lakers, the championship or bust mentality returned to Los Angeles for the first time in quite a while. 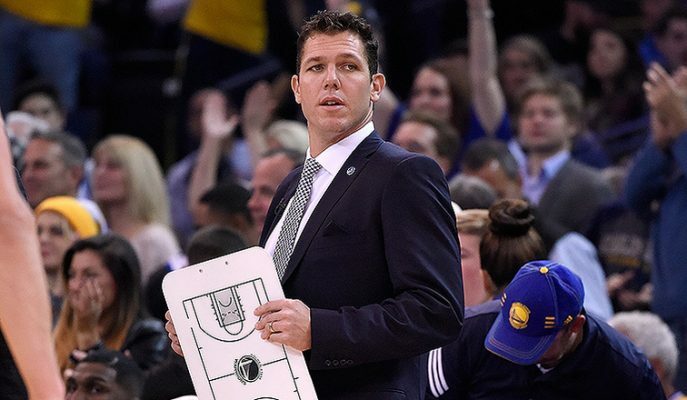 Though it would be something of a sports miracle for the Lakers to win it all this upcoming season, Walton seems committed to making sure he takes full advantage of getting to coach one of the greatest players to ever play in the NBA.